If you or someone you know is questioning, seeking community, or looking for resources check out the LGBTQI Life Affinity Groups. Affinity groups are an opportunity for Vanderbilt students to come together around a shared identity and/or interest they hold. Affinity groups provide an affirming and brave space for individuals to discuss their needs, challenges, and successes. These groups are free and open to Vanderbilt undergraduate and graduate students. Groups meet on campus and are peer and staff facilitated. For more information regarding the specific affinity groups that are offered or if you would like to help start an Affinity Group, contact LGBTQI Life Assistant Director, Roberta Nelson (they/them) at roberta.nelson@vanderbilt.edu. 615-322-3330, or stop by the Office of LGBTQI Life located in the K.C. Potter Center. If you are searching for confidential support provided by Psychological & Counseling Center staff, please visit the University Counseling Center to learn more about the Continuum group. See the calendar for the most updated schedule. 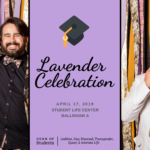 Vanderbilt Ace/Aro Affinity Group: The Ace/Aro affinity group provides a supportive space for people who identify on the asexual and/or aromantic spectrums to discuss their experiences as it relates to navigating both queer and heteronormative spaces. Vanderbilt BlackOut Affinity Group: BlackOut is an affinity group that facilitates the coming together of black LGBTQIA+ members of the Vanderbilt community in order to share space, experiences, and provide support. BlackOut is co-sponsored by The Bishop Joseph Johnson Black Cultural Center. Vanderbilt Bi/Pan/Fluid Affinity Group: The Bi/Pan/Fluid affinity group provides a supportive and brave space for people who want to explore bi/pan/fluid or otherwise non-straight/non-heterosexual identities and experiences. Join us for conversation, exploration, and fun! Vanderbilt Disabilities and Diverse Identities Affinity Group: The Disabilities and Diverse Identities affinity group provides space where students can explore the intersections of ability, and sexual and gender identities. Join us for great conversation! Vanderbilt LatinQ Affinity Group: The LatinQ affinity group is an opportunity for people who identify as LGBTQIA+ and are Latin American to share resources, build community, and discuss the intersections of all their identities. 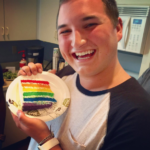 Vanderbilt LGBTQIA+ Athletes Affinity Group (Prism): The Prism affinity group supports athletes at Vanderbilt University who identify as LGBTQIA+ or are questioning. Prism gives student-athletes a space in which they can come together and discuss shared experiences, consider their own identities, and build community. 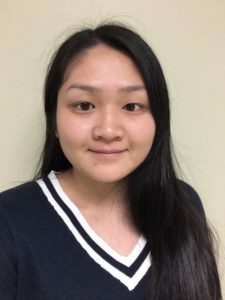 Vanderbilt Queer & Asian Affinity Group: The Queer and Asian (Q&A) affinity group provides space for students who identify with LGBTQ+ and Asian American, South Asian, Southeast Asian, and Pacific Islander identities. Join us for resources, conversation, and fun! Meet the Q&A Student Facilitators! 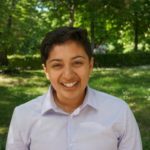 Leela Hegde (they/them/theirs) is an undergraduate senior at Vanderbilt, studying mechanical engineering and trumpet performance. They identify as queer and were born in New Jersey to Indian parents. They cannot wait for their last year of facilitating the Q&A affinity group and building relationships with the wonderful humans on the Vanderbilt campus. 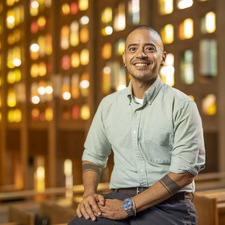 Vanderbilt Queerality Affinity Group: The Queerality affinity group provides an opportunity for students to explore both queer and religious identities and topics. Join us for exploration, fun, and great conversations. All religious/ non-religious and spiritual identities welcome. 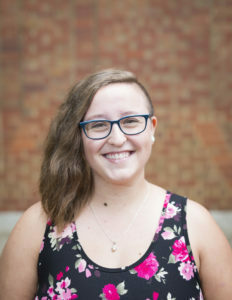 Maria Michonski (she/her/hers) is a 2nd year MDiv student at Vanderbilt Divinity School. Maria is a lifelong Nashvillian. She identifies as a Southern, working class, Catholic, queer woman. Maria loves dogs, hiking, spending time with her husband, reading, plants, folk and porch music, cooking, board games, and intersectional feminism. She is excited to be co-facilitating Queerality this semester! 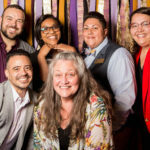 Vanderbilt QPOC Affinity Group: The Queer People of Color affinity group provides space for Queer students of Color on campus to share their experiences in navigating the intersections of race and queer identities, build community and explore resources. Join us for great conversation, and fun! Vanderbilt Queer Sorority Members Affinity Group: QSAG provides an opportunity for students who identify as LGBTQI and are members of a campus sorority to share experiences and find resources. Join us for conversation and fun! Vanderbilt TGQ Affinity Group: TGQ is an affinity group that provides space to discuss the continuum of gender identity and expression, particularly for students who identify across the Trans spectrum, as well as those questioning. Join us for conversation, community, fun, and resources! Vanderbilt Willow Affinity Group: Willow provides an affirming, open space for women, women-aligned people, and lesbians attracted to other women, women-aligned people, and lesbians to discuss their experiences, share resources, and find a focused, supportive community where their identities are centered. Join us for meetings, movie nights, and more! 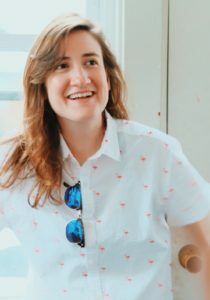 Molly (she/her/hers) is a first-year doctoral student in Community Research and Action, an interdisciplinary program within Vanderbilt’s Human and Organizational Development department. Before embarking on this new journey, she worked at a public health think tank in Boston and got her BA in Psychology at Vassar College (2013). Outside of work/school, Molly likes trying new restaurants, riding her bike, playing with other people’s dogs, dancing with her friends, and (when she can) traveling home to New England to see her family. She identifies as queer, gay, or lesbian (depending on the moment and context), and she’s thrilled to be building new community in Nashville and to be co-facilitating the Willow group! Kayleigh (she/her or he/him) is a fourth-year undergraduate student in the College of Arts & Sciences. She is majoring in Public Policy and Critical Studies in English, with a focus on Law, Justice, & Social Movements. Kayleigh is a part-time research assistant and a full-time lesbian. Moving from Northern Georgia to Nashville provided her first exposure to the idea of organized, identity-focused community spaces, and she decided to work to create one for herself and people like her. She founded Willow with the Office of LGBTQI Life in the Fall of 2016, and is so proud of how far it’s come since then! 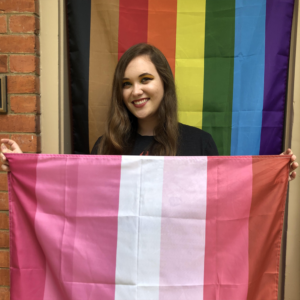 In her free time, you can find Kayleigh applying to law schools, volunteering around Nashville, or working on something for Lambda (the undergraduate GSA).